On Camera Monitors- VariZoom field and studio monitors provide sharp, accurate images for improved framing and focus assist on any camera equipped with an HDMI output. Utilizing top-quality Grade A+ LCD panels and image processing, our professional studio monitors offer unsurpassed picture quality and additional features normally found only on more expensive monitors. 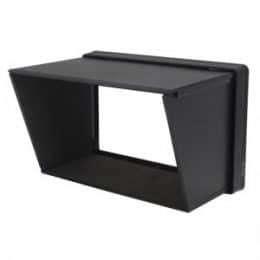 Available in multiple sizes, these on-camera monitors and accessories will suit the needs of most field or studio camera operators while offering reliability and value to match our industry reputation. 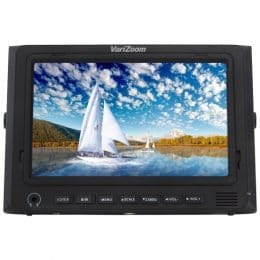 A number of optional accessories designed specifically for the video camera monitors are available through VariZoom, including unique HDMI locks to prevent signal loss, rubber case guards, folding sun hood / screen protector, mounting arms and an array of battery solutions for powering from major camera brands. Full accessory kits and combination zoom / focus / monitor bundles are also available at big discounts, either on our website or through our extensive dealer network.